In PLAYWRITING: THE STRUCTURE OF ACTION Sam Smiley explores three vital elements in revealing a story. 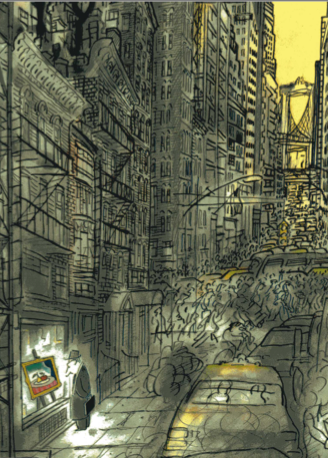 The first, exposition or back-story, is more important and useful in plays and novels than brief picture books. However, the second and third, planting and pointing have much to offer the picture book writer. Smiley explores eight forms of planting, but to simplify we’ll say planting is an item of information that turns out to be significant later in the story. 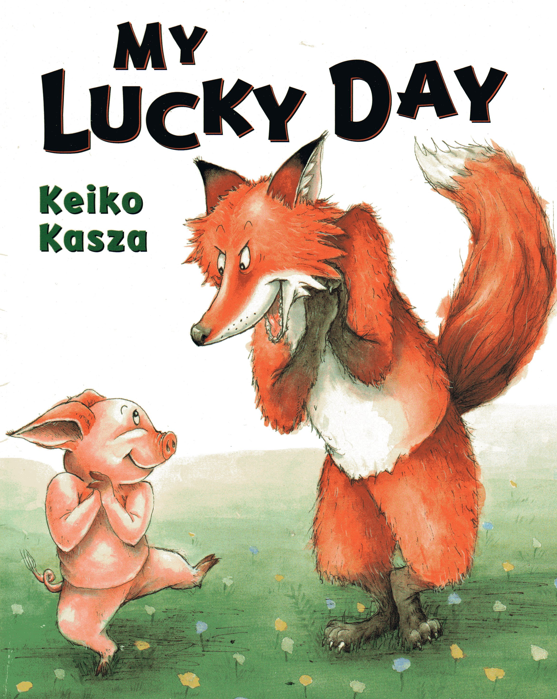 MY LUCKY DAY by Keiko Kasza includes a plant that’s sly as a fox. Or should we say pig? When a pig knocks on Fox’s door, Fox declares “My lucky day!” Pig attempts to stall his demise by suggesting a bath, getting fattened up, and tenderized with a massage. After Fox collapses from exhaustion from all his related chores Pig runs home declaring, “This must be my lucky day!” Lucky? Not so fast. Kasza’s clever twist of an ending makes perfect sense thanks to her plant. Pig schemed the entire day. Pig made his lucky day by creating the situation. Next up, Wolf. Kevin Henkes’ deliciously distilled SHEILA RAE’S PEPPERMINT STICK includes a line that is at once planting and pointing. “If I had two, I’d give you one,” said Sheila Rae…” as she balances on stool, pillows, and books to keep her candy out of reach. The fall of the arrogant occurs on the next page when Sheila Rae literary falls to the floor and her peppermint stick breaks in half. She is now forced to keep her to keep her promise. “If I had two” serves as a plant and gives reason for the sharing at the conclusion. It also (with Sheila Rae perched so high) serves as pointer that makes the reader hope for a case of prophecy fulfilled. Where a “plant” makes the reader think back through the story, a “pointer” sparks the reader to look ahead. It whispers something of interest and related is coming ahead. In other words, anticipation and suspense. Examples of “pointing” can be found through a manuscript. Marie Bradby’s third and fourth sentence in MORE THAN ANYTHING ELSE is a pointer that immediately creates anticipation of an answer. My stomach rumbles, for we had no morning meal. But it isn’t really a meal I want, though I would not turn one down. With her head hanging low for shame. And she never once looked at the sky. Preston’s emphasis on not looking up sets the stage for something Little Goose will miss seeing. After “not looking up” ends badly, Little Goose heads home with her head held back and never taking her eye off the moon. Once again, such an absolute can only bring a problem, and the reader senses it coming. Little Goose doesn’t see the Fox till he’s caught her. Plants and Pointers serve the reader like a classic English butler—indispensable, but rarely noticed. Let’s write like a butler’s butler! MORE THAN ANYTHING ELSE by Marie Bradby. Illus. by Chris Soentpiet. Scholastic, 1995. MY LUCKY DAY by Keiko Kasza. Scholastic, 2003. PLAYWRITING: THE STRUCTURE OF ACTION by Sam Smiley. Prentice-Hall, 1971. 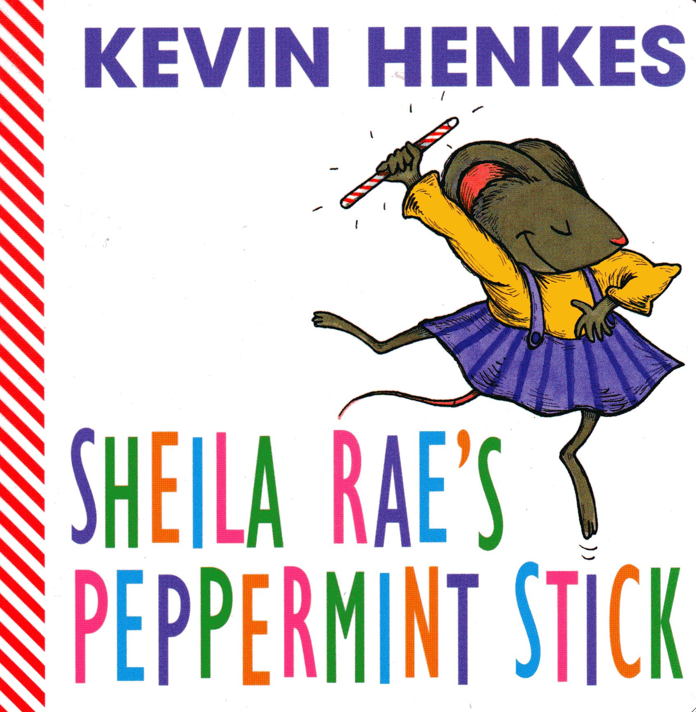 SHEILA RAE’S PEPPERMINT STICK by Kevin Henkes. Greenwillow, 2001. 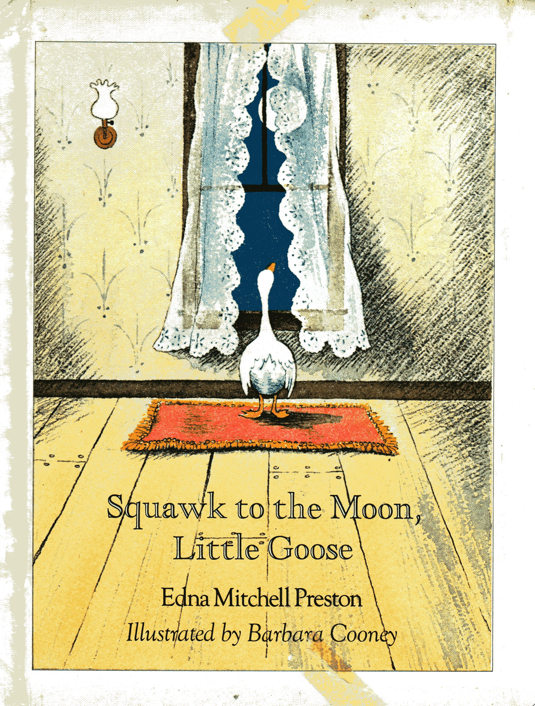 SQUAWK TO THE MOON, LITTLE GOOSE by Edna Mitchell Preston. Illus. by Barbara Cooney. Viking, 1974. Hall, Donald. THE OX CART MAN. Illustrated by Barbara Cooney. Viking, 1979. The story behind THE OX CART MAN is a journey itself. When Donald Hall left Michigan and moved to his grandparents’ farm in New Hampshire a cousin told him the story of an ox cart man. 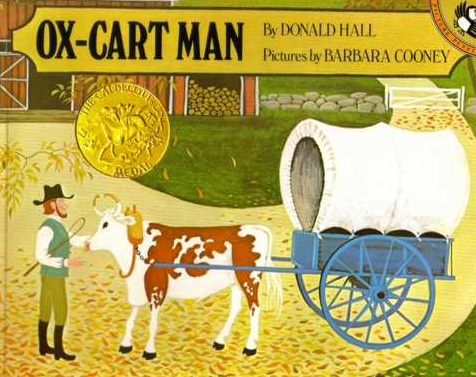 In time, Hall retold the story as a poem, “The Ox Cart Man,” that appeared in THE NEW YORKER (October 3, 1977). He revised it slightly when it was published in his collection KICKING THE LEAVES (1978). Then again when it was published in OLD AND NEW POEMS (1990). 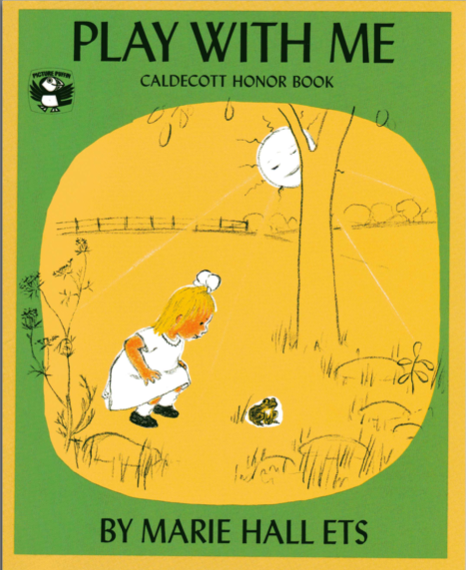 Children and picture book fans know the poem in yet another form–the picture book which received the 1980 Caldecott Medal.